My annual fearless crystal ball gazing into the wine scene, hard to believe another year has gone by so quickly. We saw it at Christmas time and it will continue into 2011, people want Best Bang value wines between $15 and $25 as their everyday drinkers so we will have to be on our toes to purchase the ones worthy of great value for money. People will splurge occasionally for something in the $40-75 range. Then there are others at the other end of the spectrum who can afford and continue to buy the ultra premium wines and spirits at > $100 price point. I made this prediction last year and well, I’m hopeful to see the emergence of some Swiss wines (didn’t happen last year). It would be nice to have a new selection of top drawer Argentinean Malbecs and more selection for high end Chilean Carmenere. Finally, some more availability of inexpensive (but good) wines from Uruguay. 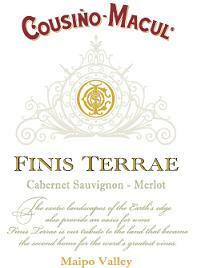 A pleasant surprise would be to try some good Mexican reds should they appear in our market. I feel sad to have to say this but after the record setting prices of Bordeaux 2009 futures campaign last year, there is no reprief as 2010 is hailed to be as good as 2009. With the Asian market buying at whatever cost, it looks like you will have to save up a lot of money to buy 2010. There is the comparison of 1988-89-90 triptych with that of 2008-09-10 and since 2010 has produced 30% less in terms of grapes due to bad flowering during the spring, there is less wine to go around this time so I can’t forsee a break in pricing (and let’s hope there’s no increase, cross your fingers). Those who missed the boat on 2009 Bordeaux can rectify by purchasing 2010 Bordeaux futures come May or June. Bordeaux certainly isn’t making it easy – this is hard on the pocket book as 2010 joins 2000, 2003 (less so), 2005, 2008 (specific regions only) and 2009 as must have vintages of the new millenium. Great bargain regions from the new world will continue to be Argentina and Chile, while in the old world continues to be Portugual, Spain and Southern France. Note the 2009 Beaujolas vintage is the greatest in two decades.. Many people have started Wine Cellars, and in so doing, it is advisable to continue to buy good wines year in year out. After 8-10 years of consistent purchasing, you would have built a cellar that has wines for any and every occasion. In 2011, smart buyers should look to add some California 2008’s, German 2008 and 2009’s, Barolo and Barbaresco 2006’s, 2002 Champagnes, Amarone 2006’s and any late released 2004 Brunello di Montalcino Riservas to their collections. Those who were smart and bought right bank Bordeaux 2008’s will take shipment in the fall of 2011. Those who didn’t buy futures will suffer the wrath of a great right bank vintage and escalating shelf prices. Every good cellar must have some Bordeaux so set some money aside for the 2010 campaign as well. Finally to end on a more optimistic note, with ever escalating warehousing costs with the AGLC, there will be deep discounts throughout the year as agents drop prices in order to move stock, all meaning deep bargains passed on to consumers. There are many who consider Bordeaux to the best wine producing region in the world (and certainly one of the most expensive). Our first Top Drops tasting of 2011 will be part one of a three part exploration into this famed region. Part One Features the ‘Saints’ of Bordeaux. The river Gironde runs divides the left bank with its Cabernet Sauvignon dominant wines, while the right bank is Merlot dominant. We’ll sample three wines each from the left bank appellations of St. Estephe and St. Julien, and finish off with the right bank of St. Emilion. There will be a young wine, a mid-term wine and an older wine in each of the three flights to clearly demonstrate the traits and evolution of the wines in each of the three regions. St. Estephe (the northern most region), and St. Julien although both left bank wines are radically different in character. The former is earthy, barnyardy and hard as nails when young. The latter is more about cedar, licorice and slightly softer and easier to drink. 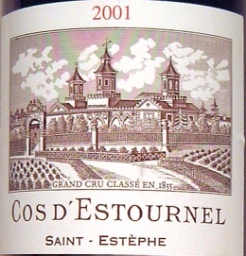 St. Emilion is a bolder appellation with the greatest number of estate and thus a great deal of difference in styles within the region. No two St. Emilions are the same as the blends and house styles can be extremely radical with new and old world influences even amongst neighbours. We are eight people short of minimum quota to make this tasting a go, so if you’re interested at all in finding out about Bordeaux, please sign up as soon as possible. The world of wine is ever changing and we are presented with more and more options. In order to understand what we like as consumers it is beneficial to be armed with as much knowledge as possible in this constantly changing industry. Throughout the past two years we have discussed and tasted wines by grape variety and country this year we are hoping to delve into regional differences within a wine growing country. Each tasting will focus on different regions exploring the grapes, styles, soils, viticulture, laws and even some regional cuisine. Please join us this year for our Wine Regions of the World tastings. Each tasting will be featuring seven wines from specific regions paired with regional snacks and cheeses. The tasting will aim to give a wine spectrum of price ranges.